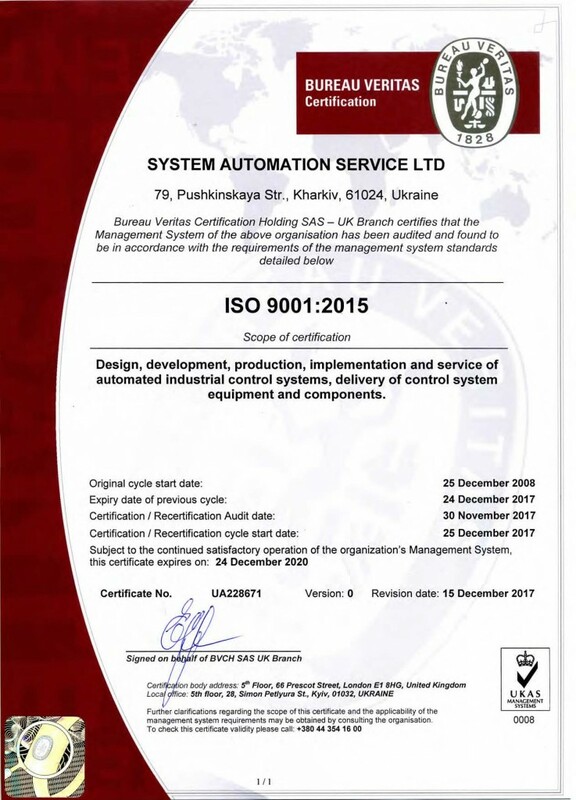 Quality Management System of our company has successfully passed re-certification audit and proved its compliance to ISO 9001:2015 standard. Quality Management System of our company has successfully passed re-certification audit and proved its compliance to ISO 9001:2015 standard. New certificate issued by Bureau Veritas Certification Holding SAS — UK branch is available for download on the «About us» page.